With just one screw, attach this simple yet attractive pyramid post cap to the 4x4 posts in your DesignRail system. In colors to match DesignRail Aluminum Rail Kits, these stylish caps are the final touch in your customized rail system. 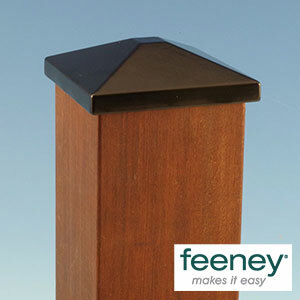 Why We Love Them: These aluminum post caps offer protection to your 4x4 wood post. Why You'll Love Them: They installed easily with just one screw.